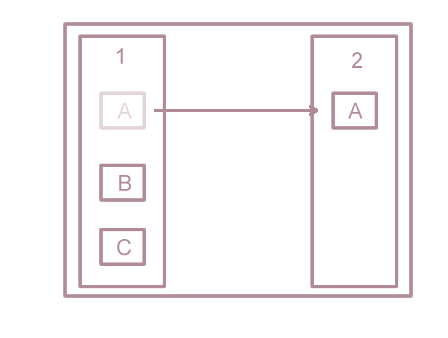 Do not have a deep hierarchy and group information into meaningful categories. The use of a deep hierarchy to show information in the interface is not recommended for older adults, however the use of a hierarchy with essential elements can be considered. The information should be grouped using meaningful categories giving obvious navigation cues. 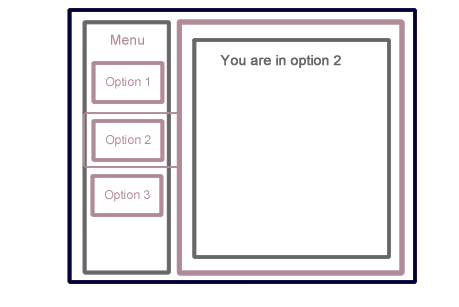 An example of an user interface using meaningful categories giving obvious navigation cues. G101 – Extra and bolder navigation cues should be provided. Extra and bolder navigation cues should be provided. 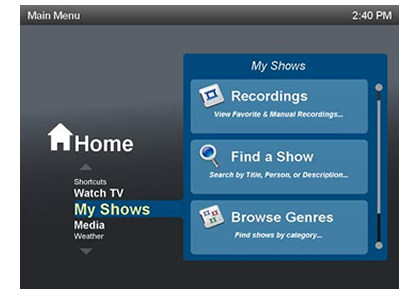 The existence of extra and bolder navigation cues facilitates the use of the interface by older users. 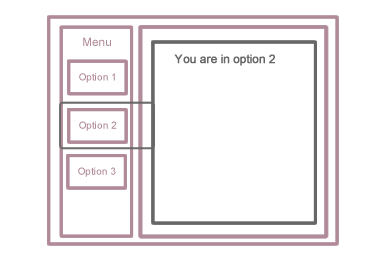 The identification of option selected in the menu provides a bolder cue of interaction. G85 – Show the current location clearly. Show the current location clearly. Decreasing of short-term memory of older adults may cause forgetfulness what they wanted to achieve when changing screen. Because of this, should be indicated the current location. An example of an application that shows the current location, in this case ” My Shows”. G84 – Provide a good navigation. Older adults have low experience in the use of the computer, and in the presence of some problems using a user interface, they are less likely in to try things out. 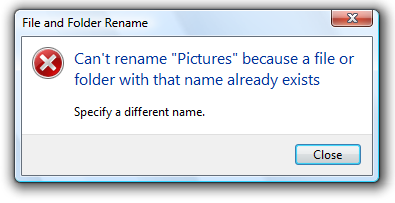 Because of this, user interface should have a good navigation. 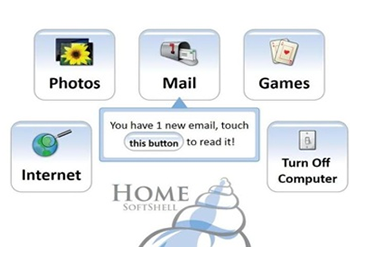 An example of an application with easy navigation for older adults.